Have you thought about holiday gifts for your employees and clients yet? Companies often give gifts to employees, current customers and prospects to express appreciation and to build relationships. It is a nice way to say “thank you for your hard work!” or “thank you for your business!” An added bonus– if you give branded gifts, they also serve as a marketing tool! As seen in ASI’s annual gift-giving report, nearly half of all companies surveyed reported that 100% of the gifts they gave out during the holiday season would have their company’s logo on them. 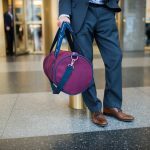 BankerBags make the perfect branded gifts–these custom-made canvas duffels, totes, briefcases and backpacks are classy, luxurious, and extremely useful inside and out of the office. 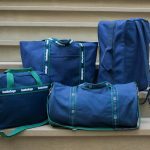 BankerBag recipients will use these bags for many years to come, and therefore are gaining impressions for your brand. 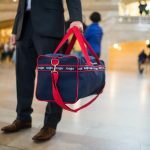 Recipients love branded bags! In the same ASI survey, when questioned about the best corporate gift they ever received, one respondent said “a briefcase with the logo on it – I still treasure it.” So this year, give your employees, clients and prospects the best corporate give they’ve ever received!